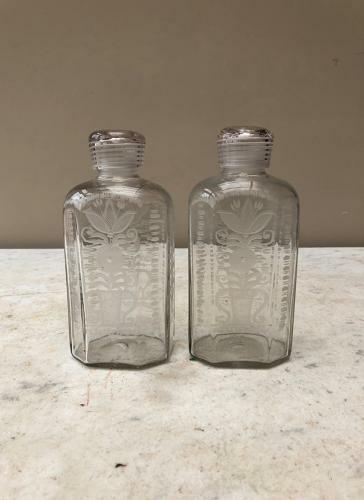 Pair of Wonderful Condition Georgian Flemish Bottles. Beautifully engraved...both the same. Lids which actually twist on and all threads good.